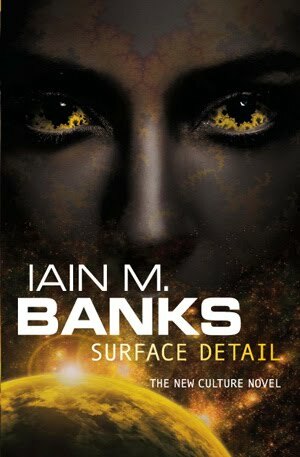 Read FBC Review of "Surface Detail"
INTRODUCTION: "The Scavenger species are circling. It is, truly, provably, the End Days for the Gzilt civilization. It seems that the final days of the Gzilt civilization are likely to prove its most perilous." The Culture. For any sf fan, there is no question what the previous words refer to, as IM Banks' extremely popular universe - about which you can read in more detail in the link above - and its amalgam civilization led - ok, forming a consensus generated civilizational direction - by the powerful and quirky AI ships with funny and/or weird names are the ultimate in wish fulfillment. Benevolent godlike beings and heaven/utopia in our Galaxy, though of course there are external factors, occasionally morphing in threats like the nasty Idirans or the mysterious Excession, make The Culture the automatic answer one has when asked in which fictional civilization one would wish to live assuming the law of mediocrity - ie one would be born randomly in said society so would be likely to have the status of its majority. The first three Culture books, Consider Phlebas, Use of Weapons and The Player of Games are the three best sf novels ever, with Use of Weapons being first sff on my all time favorite list at number 7. I have read each of them ten+ times across the years and they are as fresh as ever even today. The following 5 Culture novels, Excession, Inversions, Look to Windward, Matter and Surface Detail did not quite manage to get at that level, though each has its powerful and memorable moments and in the last several ones, IM Banks started building the universe in a systematic and consistent way with levels of civilizations, spheres of interest, client species etc. OVERVIEW/ANALYSIS: "At sunset above the plains of Kwaalon, on a dark high terrace balanced on a glittering black swirl of architecture forming a relatively microscopic part of the equatorial Girdlecity of Xown, Vyr Cossont - Lieutenant Commander (reserve) Vyr Cossont to give her full title - sat, performing part of T.C. Vilabier's 26th String-Specific Sonata For An Instrument Yet To Be Invented, catalog number MW1211, on one of the few surviving examples of the instrument developed specifically to play the piece, the notorious difficult, temperamental and tonally challenged Antagonistic Undecagonstring - or elevenstring, as it was commonly known. The Hydrogen Sonata is the 9th Culture novel and it was excellent, though maybe not the best Banks or the best of 2012, but still the top sf of the year for me for inventiveness, literate writing and all around joy of reading. The storyline is relatively predictable and the plot in so far there is such, is not particularly exciting, but that does not matter as the simple fact of taking another Culture universe tour and dealing even just at a distance and through a looking glass so to speak with the Sublimation - the equivalent of "true godhood" in the universe, rightly kept ineffable and unknowable not only for us puny minds, but also for the AI's too however powerful they are. Don't plan on subliming yourself however as a puny human you need a full civilization to do it and not be washed by the transcendental. "Eighteen kinds of weather. Of all the things she’d heard about the Sublime, throughout all the attempts people had made to explain what it was like in any meaningful way, that was the one detail she could remember. It had eighteen different types of weather, not one. She wasn’t even sure what this really meant, let alone whether it was genuinely an improvement on reality." In content the novel is very Excession like - with Excession itself mentioned a few times and its ITG - interesting times gang - a sort of model for the current group of "concerned" Minds, a sort of upgrade of that with the world building of Surface Detail, so it lacks somewhat the strong human(oid) characters from Transition or Surface Detail. The best characters are Minds - their names are as good if not beat anything in the Banksian ouevre to date, eg Mistake Not... (full name to be found reading the novel) or Just The Washing Instruction Chip In Life’s Rich Tapestry, avatars and maybe the uber bad guy of the Gzilt, while Vyr Cossont herself is more of a witness to which things happen than a prime mover. As noted above there is a rich tapestry of civilizations, most notably the Gzilt and a few Scavenger lower level species that want to upgrade themselves once the Gzilt are gone, lots of local action - ship fights, personal fights, avatar mano a mano with a high powered special operation soldier with weapons that can do real damage - intrigue, manipulations, murders, though ultimately the local dominates the global with no particular overreaching conclusion, "good beats evil and everyone lives happily ever after" or "to be continued" more typical of sff. In this way, The Hydrogen Sonata goes structurally against genre conventions and towards literary "life goes on" conclusions, though with pyrotechnics and sense of wonder galore. 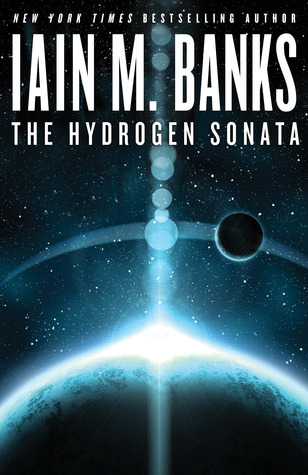 Overall, The Hydrogen Sonata is my top sf of 2012 and a worthy addition to the Culture canon. The book was very good and I did enjoy it, but I was annoyed by the fact that the Gzilt were supposed to be "tech equivalent" to the Culture but from page 1 the Culture was always one step ahead. At no point did the Gzlit seem to be any challenge for the Culture. On the other hand, one of the Scavenger races (quite low-tech compared to the Culture) scores an impressive victory against the Culture (under special circumstances and it's a victory they'll probably regret). It really undermined all the talk about how powerful the Gzilt were. Just once it'd be nice for the Culture to face some real competition. I agree with this, though the point that the Culture is sort of "first among equals" in the Galaxy is subtly made a few times in the last few books from Matter on. I'm not all the way through this book yet and I find myself kinda annoyed. Mr. Banks is certainly a powerful and imaginative writer. But he's certainly enamoured of his own prose and this tendency seems to be getting more pronounced as he ages. Really, there are large blocks of text that could be excised with no effect on the plot. This would also benefit the environment as less paper would have been consumed to print this doorstop.